← 383 "G.I. (Annoyed Grunt)"
On a computer, pictures of the family are dragged onto the couch, then deleted. Moe'N'a Lisa is the sixth episode of the eighteenth season. It originally aired on November 19, 2006. It guest stars J. K. Simmons, Tom Wolfe, Gore Vidal, Michael Chabon and Jonathan Franzen. "Lisa turns Moe's notes of an obscure world into a poem, so he is invited to a writer's convention by Tom Wolfe, but he says it is his own work, without any help, which breaks Lisa's heart." The episode starts off with Homer waking up with a reminder string tied around his finger. He has also written in mirror-writing on his chest, and there are various other messages, including Maggie’s cereal, which spells out "Don’t Forge" until she coughs up the "T". Trying to remember what it is he’s supposed to remember, he ends up going to the Senior Olympics with his family; it is revealed that Homer has forgotten he had promised Moe he would take him fishing for his birthday. Grampa reminisces about his encounter with Adolf Hitler at the 1936 Olympics (at which he accidentally saved Hitler’s life), and he manages to win a medal while running from Groundskeeper Willie, whom he mistakes for the Grim Reaper. Lisa complains she can’t find anyone interesting enough on whom to write a report. 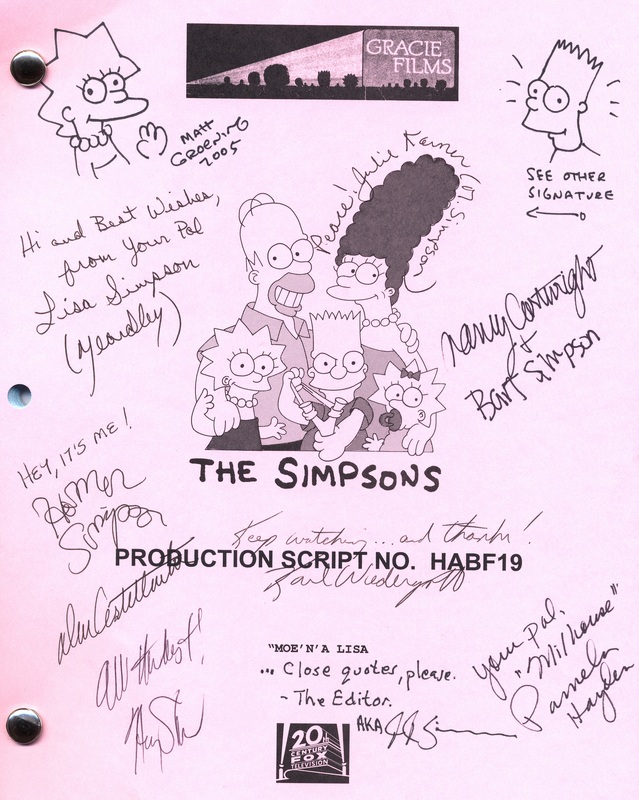 The Simpson family returns home at night to find Moe waiting for them outside their door. Sneaking into their own house, they receive a message from Moe saying that Homer had betrayed him. Impressed by the emotional depth of the letter, Lisa decides to do her report on Moe. At Moe’s hotel room (where he lives) Lisa discovers Moe has been writing his random thoughts on post-it notes. She arranges them and gives them a title of her own invention labelling it 'Howling at a concrete moon', and sends it to a poetry journal where it becomes a smash hit, and he is acclaimed as a Charles Bukowski-like poet. Moe is invited to "Wordloaf", a writer’s convention in Vermont, by Tom Wolfe (who voices himself). While driving there, Homer avoids drinking and driving by driving only between sips of beer. Moe and the Simpsons finally arrive at the convention while being pursued by the police of every state in New England (as well as apparently receiving a ticket from each state). 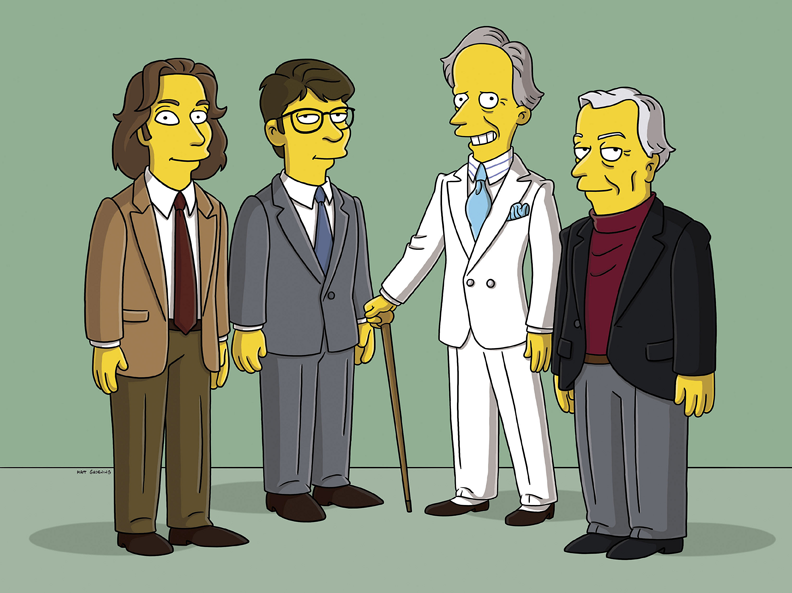 At the convention, Moe mingles among noted authors Tom Wolfe, Gore Vidal, Michael Chabon and Jonathan Franzen. After Gore Vidal is ejected from the gathering when he reveals he took the titles of his various books from things he saw, as opposed to creating the title himself as any true author does", Moe takes credit for the poem’s name saying it was a solo effort. This breaks Lisa's heart and she abandons him. Moe seems to show no remorse and even asks Lisa to craft another poem for him, but she refuses. Moe finally writes a poem himself, only to have it eaten by geese, which Moe shoots at in anger. ("Fly off in a V!") Lisa tells her family what Moe did and Homer and Bart plan to get revenge on Moe by pouring maple syrup on him. Moe realizes he cannot arrange his fragments into poems without Lisa. Ultimately, he delivers a poem at the convention revealing Lisa's contribution. And as he says it, Homer and Bart attempt to dump five gallons of Maple Syrup on him but fail due to the syrup being so thick. According to an article written while the episode was being recorded, Tom Wolfe, Michael Chabon and Jonathan Franzen were all supposed to be killed by a giant boulder. This ending was cut from the episode because none of the three are dead. As well, several lines were cut from the Chabon/Franzen fight, such as Franzen shouting "Ah, my trademark glasses!" ↑ Corey Bond (2005-11-30). Tom Wolfe Is Screaming. Crisis on Infinite Springfields. Retrieved on 2005-11-30. Modified on May 15, 2018, at 12:03.